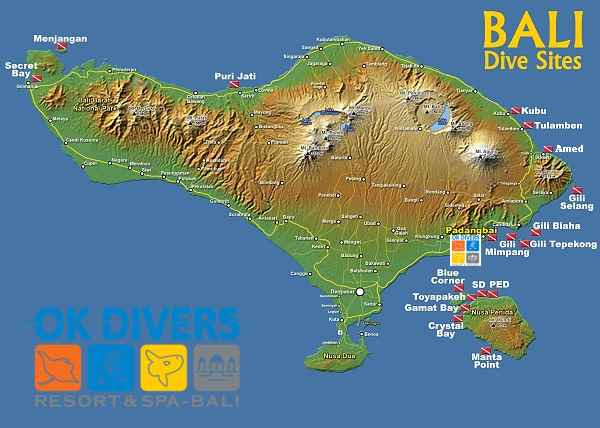 With some of the largest diversity of underwater flora and fauna in the world, Bali is just the perfect place to dive. Just one dive in Bali will make you think whatever created this planet must have had diving in mind. It is absolutely mind boggling to witness the amazing colours and creatures which inhabit this area. One of the best things about diving in Bali is not only the diversity of the fish and coral life but the diversity of the diving options available. From gliding over some of the finest corals on the planet, hovering with mola mola or manta rays to nearly burying your head in the sand to find some amazing macro life there is something here to suit any diver’s preferences. Come and join us for a dive in Padangbai and you will be amongst some of the luckiest divers on earth to be able to say “I have dived in Bali”.